Hello all, one of my fiend has a requirement to generate a data grid model so, we thought directly using jqGrid component here is my tutorial which will populate data in grid format. 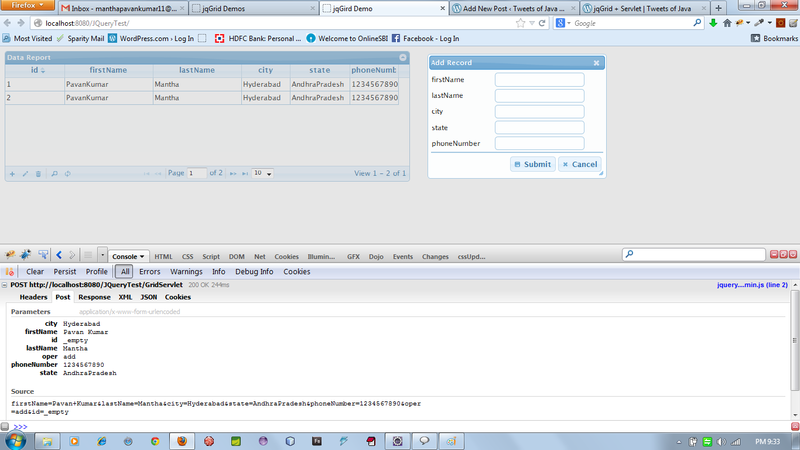 Step 1: jqGrid will call servlet using an Ajax call. 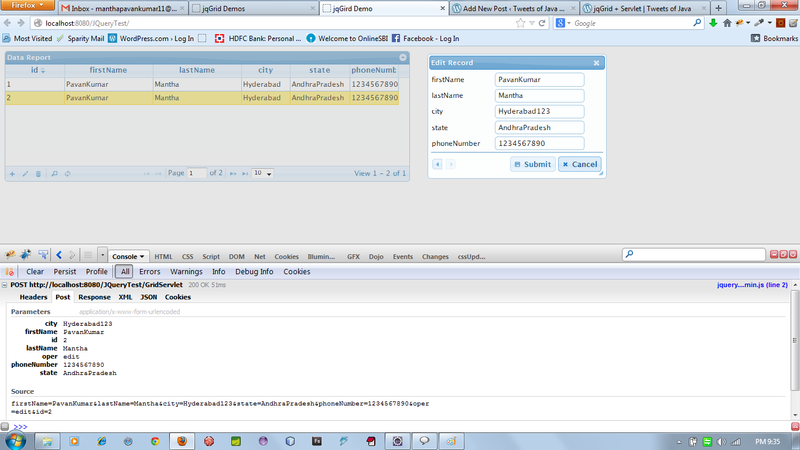 Step 2: Servlet returns data in the form of JSON. 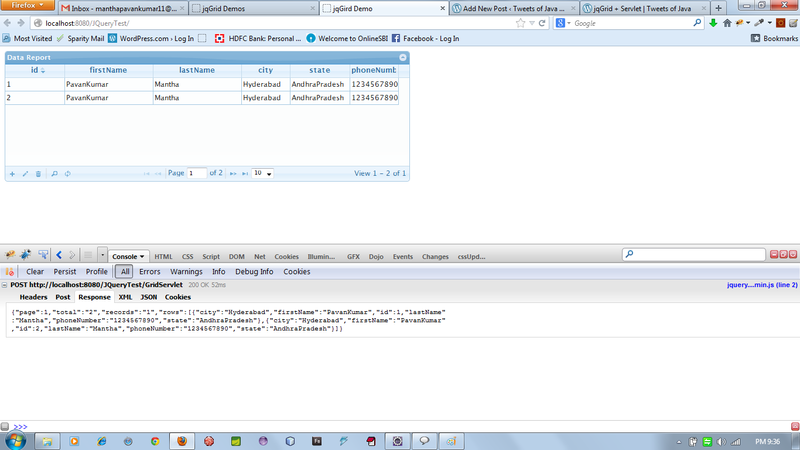 Step 3: jqGrid Component will parse JSON data from servlet and render it in the component. 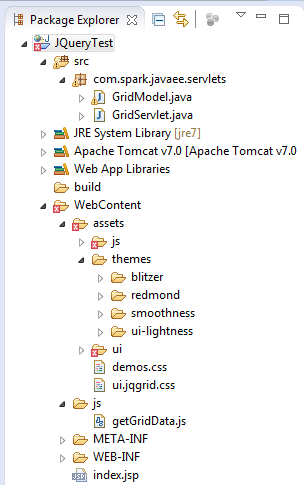 Step 4: giving additional functionality as “add,edit,delete” directly to jqGrid component. * Code for JQuery Grid.